Two classic 7.62x39 rifles — previously available in the legacy builds — have been updated and reintroduced. You will now be able to find the SK 59/66 (ten-shot semi-automatic rifle) and the CR-527 (bolt-action hunting rifle) in the world of Chernarus; both being complimented by the reintroduction of the Hunting Scope. To tackle undesirable persistence wipes, we have introduced a system of Persistence Backups that will prevent problems with the saving of persistence data on the servers. This system is available to both official- and community-owned servers, with positive results already showing on the Experimental branch. In 1.01, our programmers have made solid progress to improve server performance, which is critical to ensure an enjoyable DayZ experience. Official vanilla servers — at full capacity — should no longer be witnessing a lot of previously disruptive issues on a regular basis. Please note that community/modded servers could still be affected by increased player counts and modifications. Voice chat in 1.01 is now using a completely new codec that bumps the overall quality of the Voice over Network sound — especially with a high-quality microphone. We’ve also added a mumbling sound filter for players who try to communicate when their speech is restrained with a rag. As a first step towards balancing the health and damage systems, we’ve added new icon status indicators that better communicate bleeding damage and the effect of medication. We have also adjusted player damage, with the most visible example being the reintroduction of a bleeding damage penalty when walking barefoot. Also, every bullet scratch will now cause bleeding damage 100 percent of the time. 1.01 now fully supports TrackIR, which is a head tracking input device that allows you to use freelook independently from your mouse controls. Popular and proven in Arma, introducing the input method was straightforward for us, and we’re sure those with TrackIR will definitely find it useful in-game. In addition to the above highlights, we’ve introduced over 50 other changes and tweaks that make DayZ a better game. 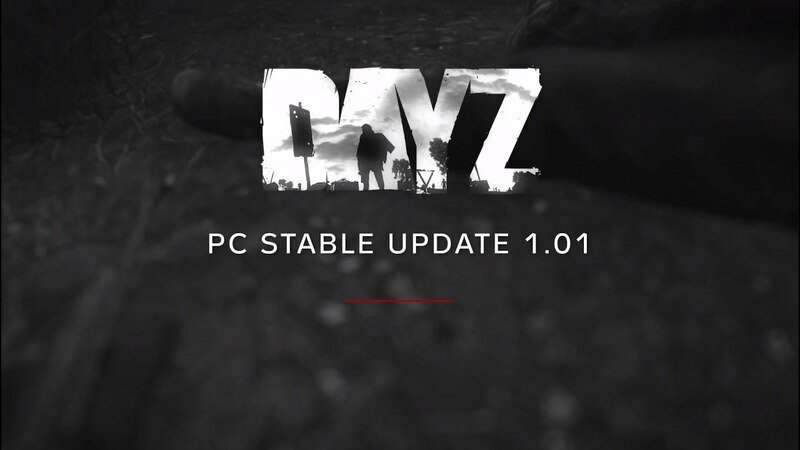 To read the full article and complete changelog, head over to the official DayZ website.